Impact assessment and improvement of water quality inside and at the outlet of a mild intensive euryhaline fish farm in Tuscany. 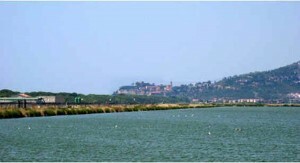 The farm (Azienda Ittica Il Padule) insists on the Diaccia Botrona Natural Wetland Park at Castiglione della Pescaia (Grosseto, Italy). 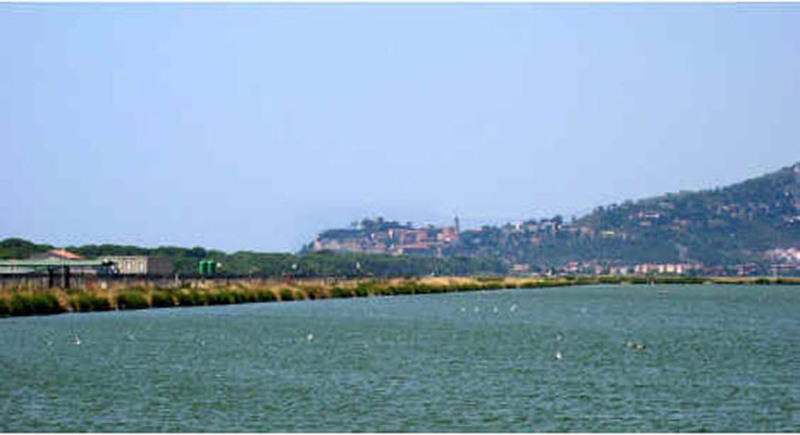 Natural hydrodinamism in the lagoon is almost absent, due to the small tide (15-20 cm), so the risk of naturally induced anoxic events is elevated. To ensure an adequate oxygen partial pressure to the water, in order to sustain the yearly yield of 400 tons high quality Sea bass, liquid oxygen is utilized. Moreover, of the 70 ha surface owned by the farm, 15 are dedicated to the production, more than 30 are utilized to improve water quality (15 at the intake and 15 at the outfall), while more that 20 ha are still unexploited and the intent is to utilize it to improve the bio-depuration with algae and other organisms that may be utilized as by-product goods. A number of monitoring campaign, including nictemeral cycles, have been carried on at the site, during which chemical and physical water characteristics were measured. Results indicate the possibility to re-circulate a high percentage of the water, while important benefits to the surronding lagoon are provided by the hydrodinamism transferred from the farm. Important elements for the productive management of coastal water aquaculture have already been developed and a model for coastal wetlands exploitation is the expected final product of this research. Researches are granted by the ARSIA of Tuscania Region, and by the Italian Ministero per le Politiche Agricole and Ministero dell’Istruzione, Università e Ricerca.